A small and beautiful hill town of Kerala, Malappuram contributes to the cultural, political and literary traditions of Kerala in inimitable manner. Located in the district of the same name, Malappuram is well known for its timbered land which houses the world‘s oldest teak and bamboo plantation. Appropriately named as Malappuram, which means “Hill top” in Malayalam, it is stippled with small hills and mounds. With a grace of threading the past and present in a perfect way, this area surely contributes a lot to the tourism of Kerala. The land of three rivers, Chaliyar, Bharathapuzha and Kadalundi is not only rich in good sand but has strong culture and heritage as well. Cosseted in the state of Kerala, Malappuram has breathtaking panorama along the waterside walk park with the blend of valleys, rivulets and sparkling becks making it an enticing place. Ponani in Malappuram is considered as the Mecca of Kerala, while Thirunavaya sited on the bank of River Bharathapuha is a prominent Centre for Hindu- Vedic learning. Malappuram Jama Mosque is the oldest testament of the past and a must see attraction. The hill garden Kottakkunnu, also known by the name marine drive, has an open air theatre, an art gallery and a water theme park and it allures a large number of visitors every year. 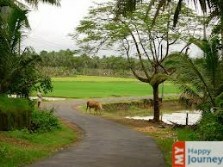 Other sightseeing options in Malappuram include Kadalundi Bird Sanctuary, Keraladeshpuram Temple and Thirunavaya Temple. The rippled topography of Malappuram offers an astounding view of weathered rocks, thus adding to the pleasant scenery of the town. The town surely enchants tourists with its charming beauty.